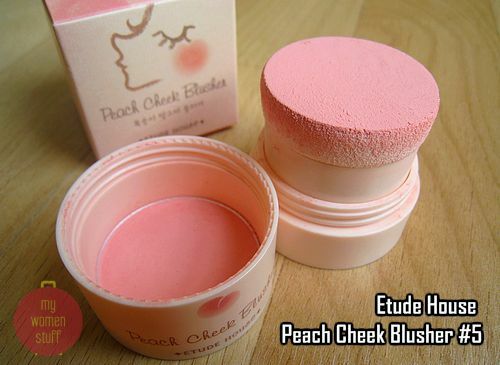 I’m not one for gimmicky products and to me, the Etude House Peach Cheek Blusher falls into the category of gimmicky. A blush with a stamp pad applicator – definitely gimmicky makeup gadget! However, I have the dubious honour of owning one such gimmicky product and rather liking it to boot! The Etude House Peach Cheek Blusher was purchased by me off Kahani of Soloverly who found it was not quite her. I was not taken in by the packaging but the colour in 05 – Happy Peach called my name. What the Etude House Peach Cheek Blusher is is a blush pan with a foam sponge stamp spring loaded applicator. The cover screws shut and when you open it, it pops up a little due to the spring in the cover. I believe the screwing and unscrewing motion causes the sponge to rub against the colour so it transfers onto the sponge. If you use the stamp applicator provided, you get the sort of look on the left. The look on the right is after I’ve religiously blended the blush like crazy leaving a cute pink-peach blush on the cheeks. Stamp them on your cheeks and you end up with a rag dolly look that is not becoming, so don’t try it. Instead you can lightly (and I mean LIGHTLY) stamp it on your cheek then quickly use a brush to diffuse the colour, blending away the edges. Done this way, it gives a cute pop of colour on the apples of your cheeks. However, I do find that using the foam applicator stamp results in too much colour being deposited on your skin. 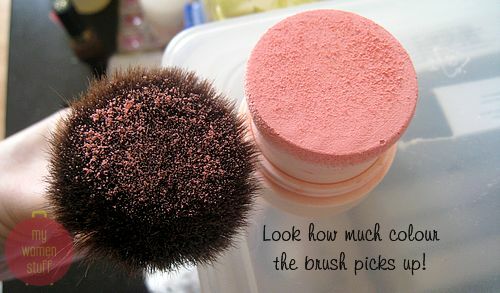 So, what I do is use a brush to pick up colour from the applicator, tap off the excess and then apply it to my cheeks. Even then, its still rather strong so do dust off some colour first before applying. The colour I have is 05 – Happy Peach which is a lovely peachy pink shade that is mostly matte. It is rather powdery but the pigment and colour is lovely. And it lasts on me! At RM39.90 a blush its not budget breaking and is definitely worthy of the “Cheap and Good” award. Pick one up if you like but do be sure to have a blush brush on hand so you don’t end up like a victim of a sea monster or a rag doll come to life! 🙂 Etude House is available at various shopping malls in Malaysia. 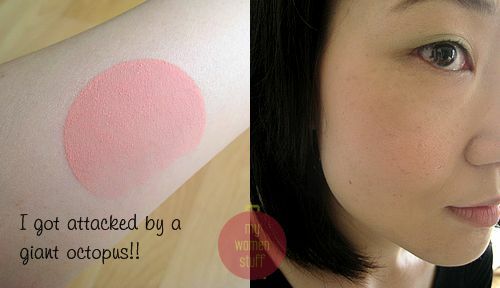 So tell me, are you taken in by gimmicky products like the Etude House stamp blush? 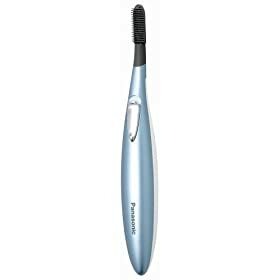 Do you own makeup “gadgets”? Yes. It has 2 colours. 1 apricot and 1 pink. I bought 2 apricot ones in korea. But sadly, I only use 1 for a couple of times. The colours are not as dolly as the Etude House range. Perhaps it is less pigmented, thats why I can do without a brush to apply. I just “chop” several times on the apple of my cheeks and pat in the colour with the sponge a bit. Yay I’m so glad it worked out for you! I think the peach shade really suits your fairer skin (btw it’s the darkest shade of the lot!). You look fresh without being too candy-dolly. I may add that all the hoo hah you’re going through to get the product to work is another reason why I was disappointed. It was supposed to be easier not more complicated! LOL! Yay and thank you! I love the colour – Bob thought it was lovely too that day haha… Maybe they’ll come out with a similar color 😛 I do agree with you about the hassle – its the reason why I cannot carry this one around which as you say defeats the purpose! I’m glad you are supportive of me removing the ratings 🙂 I figured it was a personal rating anyway so better to let everyone else decide for themselves if they like it. Hey that looks great! That foam stamp looks fun to use–haha, maybe I’m just a sucker for gimmicks! Its fun but you can easily over stamp haha… I like bright blushes too yay! Love the description “attacked by an octopus” btw. Didn’t mention it earlier. Haha… but the resulting red ring does not become anyone 😉 Doesn’t it look like some giant sea monster got their suckers onto your arm? hehe… I should stamp a few and scare people. You are a very rational consumer! 🙂 But like you I’d probably do the same – choose based on color and if its a gadget all the better! That’s a whole lot of blush on your arm!! enough for 3 pairs of cheeks! It looks pretty safe since there’s no actual crimping of the lashes. I can do it and it is very lovely. I love the shades. But you are right. it’s easier to just use a separate brush. But that stamp is by no means useless. I do use it to pick up the colours then spread the powder out with my fingers or another brush. Not sure why I don’t just use a brush straight. hmmm I think i am nuts. but I tell you this is one great colour and good lasting blush. I don’t think it’s gimmicky. I love mine! Yeah I remember the round stamps on your arm LOL… Its a nice blush and nice color but I guess I’d have to work on learning to apply it with the stamp itself rather than using a brush hehe… I use a brush to pick color right off the stamp not on the pan inside. I’m afraid I can’t help you. You might have to look at some online Asian stores. Hope you find one soon. Maybe I’m stamping them too hard. I’ll try to use a lighter hand and see how it goes. Hahaha, this would be useful in a costume party, if one were to go for the whole doll look (no blending of the blush, of course; just stamp stamp stamp! :P).